A significant project has been in the works that will positively impact the way NIU does business. As part of its continued efforts to enhance service delivery, the Division of Administration and Finance will launch the Electronic Purchase Requisition Workflow project, a campus-wide rollout that takes the arduous task of completing paper purchase requisitions and moves it into the electronic age. Co-sponsored by Procurement Services and Contract Management and the Division of Information Technology (DoIT), the effort to automate the process is a direct response to feedback from the university community regarding the current procurement process. “This initiative will streamline how the university purchases goods and services,” said Sarah McGill, vice president for the Division of Administration and Finance and NIU’s Chief Financial Officer. Director of Procurement Services and Contract Management, Antoinette Bridges, agreed, adding that the electronic requisition system has created a high level of excitement throughout the university. “It’s a welcome addition to the university and we are appreciative of the time and engagement of business managers across campus who have guided and informed our efforts,” Bridges said. Bridges said the new process is more efficient, and it eliminates the need to print and mail purchase requisitions. Project manager John Kearsing shared the sentiment. 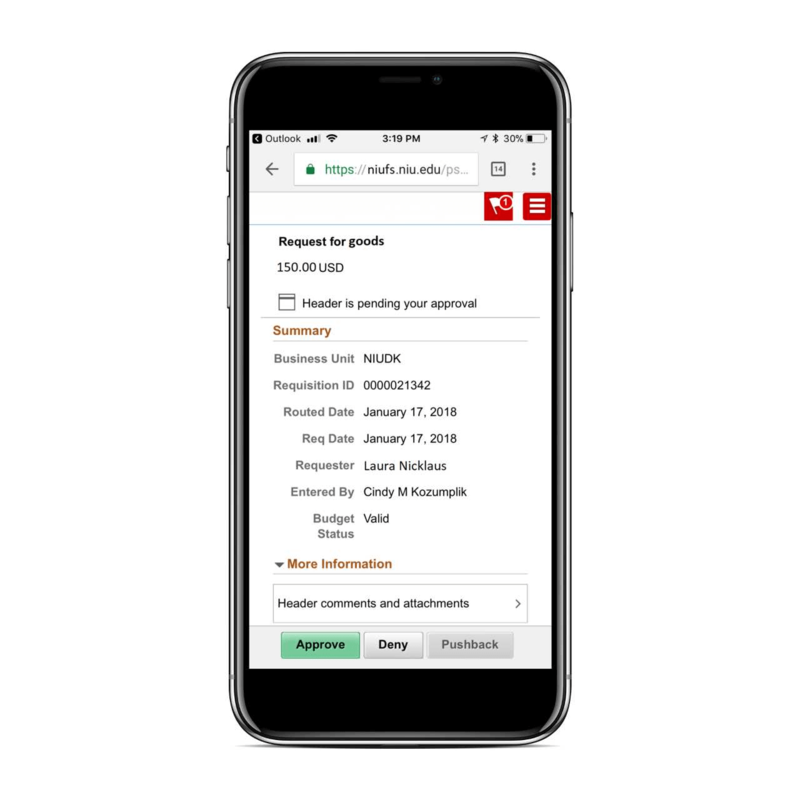 “In addition to the increased efficiencies expected by removing the paper shuffle and repetitive data entry tasks, we are excited to empower campus partners with real-time visibility into the status of their purchase requisitions,” Kearsing said. McGill said the electronic system offers advantages NIU’s current system cannot, and will enhance visibility and accountability for purchasing decisions made within the university’s colleges and divisions. A pilot program will begin in August and includes the College of Business, the Division of Intercollegiate Athletics and the Division of Information Technology (DoIT). Kelsey Johnson, College of Business director of operations and financial strategy, agreed. Campus-wide training is a critical component of the transition, and training details and rollout schedule will be communicated directly to about 500 campus users. More information on the electronic purchase requisition transition can be found online at Procurement Services and Contract Management.